Fluorocarbon is very popular with fly anglers however copolymer is an unsung hero when you need natural presentation. It's very supple, incredibly strong, boast an extremely low diameter and has a clear finish that helps in bright conditions. 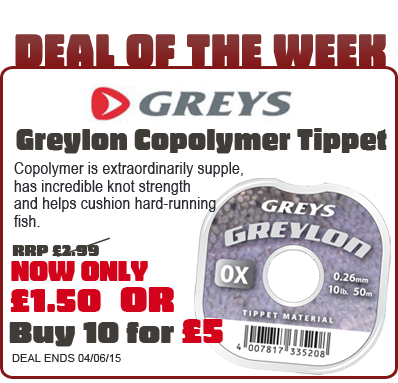 It also offers excellent knot strength and can cushion hard-running fish. Don't miss out on this superb deal with our BUY 10 FOR £5 offer! Choose from a range of breaking strains and use it to make up your own tapered leaders or if you prefer, choose your most commonly used diameter and stock up.